Lungren v. Peron (1997): Prop 215 did not legalize sales or dispensaries. The PEOPLE, Plaintiff and Respondent, v. Borzou Bo BANIANI, Defendant and Appellant. Court of Appeal, Fourth District, Division 3, California. “Section 11362.775 was written to provide a defense to a charge of selling marijuana in appropriate circumstances.” Based on SB 420 HS 11362.775, which sunsets in 2019. Law Office of Scott C. Thomas and Scott C. Thomas; Law Offices of Glew & Kim, Christopher Glew; for Defendant and Appellant. Kamala D. Harris, Attorney General, Dane R. Gillette, Chief Assistant Attorney General, Julie L. Garland, Assistant Attorney General, Charles C. Ragland and Kimberley A. Donohue, Deputy Attorneys General, for Plaintiff and Respondent. Defendant, a founding member of a medical marijuana cooperative, was charged with a sale of marijuana (Health & Saf.Code, §§ 11360, subd. (a); all further undesignated statutory references are to this code) and possession of marijuana for sale (§ 11359). 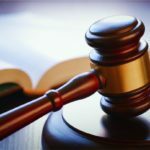 The first jury was unable to reach a verdict, splitting six to six on the sales charge and nine to three for not guilty on the possession for sale charge. Defendant was permitted a defense under the Medical Marijuana Program Act (MMPA; § 11362.5 et seq.) in that trial. On retrial, he was denied the defense. The second jury was still unable to reach a verdict on the sales charge, but convicted defendant of possessing marijuana for sale. Because we find he was entitled to a defense under the MMPA and the error in precluding the defense was prejudicial, we reverse. Defendant was charged in an information with a sale of marijuana on March 23, 2010 (§ 11360, subd. (a); count one) and possession of marijuana for sale on April 7, 2010 (§ 11359; count two). His defense was that he had a physician’s recommendation to use medical marijuana, he ran a medical marijuana cooperative in compliance with the MMPA, he was not present on the date of the sale, and the sale was made by a person who did not comply with the protocol of the cooperative. As noted above, the first jury hung six to six on the sales count and nine to three for not guilty on the possession for sale count. In the second trial, the court held defendant was not entitled to a defense under the MMPA. The second jury was unable to reach a verdict on count one and found defendant guilty on count two, possession of marijuana for sale. The court placed defendant on three years of formal probation and imposed various fines, fees, and conditions. The court expressly authorized defendant’s continued use of medical marijuana due to his medical condition. Count one was then dismissed on the People’s motion. In March 2010, Elijah Hayward worked as an undercover narcotics detective with the Newport Beach Police Department. Using a fake name and driver’s license, he visited a physician and obtained a recommendation to use medical marijuana. On March 23, 2010, Hayward went to a two-story business building located on Campus Drive, based on information a marijuana dispensary was located there. He went to an office on the second floor. On the door was a sign that stated, “by appointment only.” Hayward knocked and saw someone peek through the blinds. A male in his 20’s, with dark hair and an olive complexion answered the door. The male said his name was Sean, and invited Hayward in.1 Sean directed Hayward to a small waiting room and asked for his identification and physician’s recommendation, which Hayward then gave him. Sean left and entered another room. After Hayward heard what sounded like a copying machine, Sean reappeared in the waiting room, returned the identification and recommendation to Hayward, and gave him a two-page membership application for Herbal Run Marijuana Collective (Herbal Run). Hayward signed the application and gave it back to Sean. Sean took the signed membership application back into the same room he had taken Hayward’s identification and recommendation. When Sean returned, he showed Hayward into another room. This one contained a countertop and two refrigerators with clear, glass doors. There were a number of jars of marijuana on display and a dry erase board on the wall. Hayward said the board contained the names of different strains of marijuana and their prices. Hayward told Sean he wanted an eighth of an ounce of one of the strains. Sean weighed it out and Hayward paid him $60. Sean placed the container of marijuana in a bag and gave Hayward a marijuana cigarette and a small brownie, neither of which had Hayward requested. On April 7, 2010, Officer Brian Mack of the Newport Beach Police Department was dispatched to the same location on Campus Drive based on reports of the smell of burnt marijuana at the location. Mack too smelled burnt marijuana. Mack knocked on the door and the smell of burnt marijuana got stronger when defendant answered the door. Mack explained why he was there and defendant said he had a marijuana recommendation permitting him to smoke marijuana. Mack entered the office and asked defendant what business was run at the location. Defendant said he operates a property management and real estate investment company, Advantage. He added he also runs a marijuana dispensary in Costa Mesa and he uses the Advantage office as a storage facility. Defendant unlocked doors to separate rooms, enabling the officers to search those rooms. During the search, officers found, inter alia, 78 pre-rolled marijuana cigarettes, seven lollipops labeled “candy containing marijuana,” 24 chocolate bars containing marijuana, 12 plastic packets of salad dressing containing marijuana, a glass jar containing a pound of marijuana, a silver canister containing 16 grams of marijuana, and a plastic bag containing marijuana “shake.” The officers also found a white dry erase board listing strains of marijuana and prices for the different strains. Additionally, the police found a three-ring binder containing a ledger of business transactions, and $310. After the court held the defendant was not entitled to a defense under the MMPA, the defense introduced the following evidence. Defendant had a valid physician’s recommendation to use medical marijuana, and a valid state medical marijuana identification card and caregiver license, meaning he could be a caregiver to a patient with a recommendation for marijuana use. Defendant started a medical marijuana collective, Herbal Run, because he had an uncle who passed away from pancreatic cancer. It was not defendant’s intent to sell marijuana, as the collective is a nonprofit entity. Prior to creating the collective, defendant consulted with Attorney Stewart Richlin. Richlin, who also testified, drafted the collective’s bylaws, reviewed state laws and the Attorney General’s Guidelines with defendant, and filed the nonprofit articles of incorporation for Herbal Run. Additionally, defendant acquired a State of California Board of Equalization seller’s permit. His first indoor marijuana “grow” was with three other members of the collective in August 2009. Shortly afterward there were 10 members in the collective. Prior to becoming members the individuals were required to sign membership contracts drafted by Richlin. Defendant invested money into the various “grows.” He was not attempting to and did not make any profit off the “grows.” The “grow” that resulted in the marijuana seized in April 2010, was the result of indoor and outdoor “grows.” Those “grows” belonged to everyone in the collective, but Steven Sonders and an individual named John were the actual growers. Defendant described the intake procedure whereby an individual may join the collective. Herbal Run’s Web page did not have a street address on it. Neither did its business cards. To join the collective, individuals would call the telephone number on the Web site or business card. A member of Herbal Run would then take down the individual’s information, including name, address, identification number, and the recommending physician’s name and telephone number. The recommendation would then be confirmed with the recommending physician before an appointment was made for the individual to come into the office. At the appointment, an Herbal Run member would review the bylaws with the individual and find out what the person could contribute to the process. Individuals who refused to contribute were not permitted to join. In April 2010, Herbal Run had 70 to 75 patients. Defendant asked members to donate either time or money toward the “grow.” When asked what activities the members contributed, defendant stated: “Everybody would put together, if they can help with the grow, if they had any experience with the grow, if they can just water the plants or trim or make butter or cook cookies.” All the applicants were required to give time to the collective, but those who could not physically contribute to the cultivation of the plants donated money. Defendant said the three-ring binder seized by the police is a log of the money donations made to Herbal Run. The log notes show whether the person making the donation was from a delivery or from “a walk-in,” someone who called first and then made an appointment. The reason prospective members had to make an appointment was because a member needed to be present to process the application and members were not always there. Individuals were not permitted entry without having first made an appointment. Defendant trained members who handled new patients. He specifically trained them to explain to an applicant the requirement of contributing time and effort. Defendant said he was not present on March 23, 2010, when Sean and Hayward engaged in a transaction. Defendant was visiting his grandmother in Iran. He added the two-page document Hayward said he signed was “not [a] complete document.” Defendant said he did not find the two-page document Hayward said he signed. Defendant retained all his “patient” records. There was no record from March 23, 2010, and Sean never told defendant about the transaction. Sean should not have permitted an individual who had not gone through prescreening to enter. Defendant explained the prices on the dry erase board were for patients who could not contribute their time because they were too sick and who would prefer to pay. The amount was based on the expenses claimed by the growers. Defendant does not keep any money from monetary donations; that goes to the collective’s growers to reimburse them for their costs. Defendant said he did not believe the growers were making a profit and he never attempted to make a profit. Other members of Herbal Run testified about the requirements for obtaining medical marijuana from Herbal Run. Each testified to donating time or experience in exchange for medical marijuana. Prior to the second trial, the prosecutor brought an Evidence Code section 402 motion to preclude defendant from asserting a defense under the MMPA. The defendant argued he did nothing illegal because he was a qualified patient whose physician recommended his use of medical marijuana, he formed a medical marijuana collective, Herbal Run, and operated the collective in compliance with the MMPA and the Attorney General’s Guidelines. Specifically, he claimed his actions were protected under section 11362.775 of the MMPA and that section 11362.775 does not preclude the exchange of money for medical marijuana when the money is used to cover the costs of cultivation. The district attorney argued sales are not protected by the MMPA. He also asserted the MMPA did not apply because Herbal Run was a for profit organization. The court held defendant was not entitled to the benefit of the defense because there was evidence he charged for the marijuana. Consequently, defendant was precluded from presenting evidence on the defense and the jury was not instructed on it. Defendant claims the court prejudicially erred. We agree. While the CUA expressly refers to sections 11357 and 11358 (§ 11362.5, subd. (d)), at least one court has found the CUA also provides, in appropriate cases, an implied defense to a charge of transporting marijuana (§ 11360, subd. (a)). People v. Trippet (1997) 56 Cal.App.4th 1532, involved an appeal from convictions for possession of more than 28.5 grams of marijuana (§ 11357, subd. (c)) and transportation of marijuana (§ 11360, subd. (a)) prior to Proposition 215’s passage and enactment of the CUA (§ 11362.5). The defendant had attempted to use a medical necessity defense and presented the testimony of her physician. With the Attorney General’s agreement, the appellate court found the CUA could be applied retroactively. (People v. Trippet, supra, 56 Cal.App.4th at pp. 1544–1545.) More pertinent to the issue presented in the present case, the court had to determine whether the CUA provided a possible defense to the charge of transporting marijuana. C. Defendant was Entitled to a Defense Under the MMPA. That the Legislature intended such a result is further evidenced by its subsequent enactment of section 11362.768. As noted above, this section implicitly recognizes the lawfulness of a “marijuana cooperative, collective, dispensary, operator, establishment or provider who possesses, cultivates, or distributes medical marijuana pursuant to” the MMPA, and only prohibits such entities from operating “within a 600–foot radius of a school.” (§ 11362.768, subd. (b).) If such activities by patients and primary caregivers were unlawful altogether, there would be no need to enact a statute prohibiting such entities only within 600 feet of a school. The prosecutor argued defendant was not entitled to the defense because the MMPA did not legalize the sale of medical marijuana. He asserted that while it may be lawful for a qualified patient unable to take part in the actual tending to the plants, or to devote time and effort on behalf of Herbal Run, to support the organization strictly through monetary contributions, the prosecutor argued any monetary contribution could not be contemporaneous with an exchange of marijuana. According to the prosecutor, such an individual would have to make his or her monetary contribution prior to the planting of the marijuana the patient would eventually be given. The MMPA does not impose this limitation on qualified patients. First, the purpose of the MMPA is to ensure the promise of the CUA is fulfilled and qualified patients have safe access to affordable medical marijuana. We do not think the Legislature intended a seriously ill individual whose physician has recommended use of medical marijuana, and who is physically or otherwise unable to participate in the acts involved in cultivating medical marijuana, cannot simply pay money to his or her collective in exchange for the recommended medicine. It would be cruel for those whose need for medical marijuana is the most dire to require that they devote their limited strength and efforts to the actual cultivation of the marijuana, and then wait months for it to grow so they can use it, or to require that they make their monetary contribution and then wait months for the marijuana to be planted, grown, and harvested before they may lawfully be provided medical marijuana. Moreover, for some the cultivation and processing would not be completed until it was too late to provide any relief. The MMPA does not anticipate a patient who has received a physician’s recommendation must thereafter wait months to lawfully acquire medical marijuana. Of course, the MMPA did not make lawful all sales of marijuana. The defense it provides is limited to those qualified patients and primary caregivers who associate together in a collective or cooperative. (§ 11362.775.) Additionally, sales for profit remain illegal. However, given the MMPA’s purpose, one provision in the MMPA implicitly recognizes the legality of store front dispensaries, collectives or cooperatives (§ 11362.768), and another provision specifically provides a defense to violation of sections 11360 (sale or transportation of marijuana) and 11359 (possession of marijuana for sale), we conclude a member of a collective or cooperative may purchase medical marijuana from the collective or cooperative so long as the sale is not for profit. The district attorney’s limited interpretation of section 11362.775 defeats the stated purpose of the MMPA to make access to medical marijuana easier for patients, and is contrary to a fair reading of the section. Section 11362.775 was written to provide a defense to a charge of selling marijuana in appropriate circumstances. Were this not the Legislature’s intent, there would have been no need to list section 11360 or section 11366 [opening or maintaining a place for the purpose of selling or giving away marijuana] as statutes to which the defense applies. The court’s failure to permit the defense was prejudicial. (People v. Watson (1956) 46 Cal.2d 818, 836.) When defendant was provided the defense in the first trial, the jury was unable to reach a verdict on the possession of marijuana for sale charge. When he was denied the defense in the second trial, the jury convicted him of possessing marijuana for sale. The Attorney General relies on People v. Saddler (1979) 24 Cal.3d 671, 684, for the proposition that if the court erred in failing to instruct the jury on the MMPA defense, the fact that the MMPA defense instruction was given in the first case and that jury was unable to reach a verdict does not establish prejudice. That reliance is misplaced. The judgment is reversed and the matter is remanded. 1. Defendant identified Sean as Shajad Khalaj, the treasurer of Herbal Run Marijuana Collective. WE CONCUR: ARONSON, J. IKOLA, J.
v. JOVAN CHRISTIAN JACKSON, Defendant and Appellant. APPEAL from a judgment of the Superior Court of San Diego County, Howard H. Shore, Judge. Reversed. Americans For Safe Access and Joseph D. Elford, under appointment by the Court of Appeal, for Defendant and Appellant. Kamala D. Harris, Attorney General, Dane R. Gillette, Chief Assistant Attorney General, Julie L. Garland, Assistant Attorney General, Michael R. Johnsen and Donald W. Ostertag, Deputy Attorneys General, for Plaintiff and Respondent. Bonnie M. Dumanis, District Attorney of San Diego County, Laura Tanney, Craig E. Fisher and Christopher Lindberg, Deputy District Attorneys, Amicus Curiae on behalf of Respondent. Defendant and appellant Jovan Christian Jackson was charged with the sale of marijuana and possession of marijuana for sale. Prior to his trial the People filed a motion under Evidence Code section 402 for an order preventing him from offering evidence he was entitled to the defense provided by the Medical Marijuana Program Act (MMPA), Health & Safety Code (Footnote FN1) section 11362.7 et seq. to patients who associate for the purpose of collectively cultivating medical marijuana. At the hearing on the People’s motion, Jackson testified he, and approximately five other individuals, were actively engaged in cultivating marijuana and providing it to themselves and the approximately 1,600 other members of their medical marijuana collective. Jackson testified each member of the collective was required to show proof marijuana had been prescribed to the member by a medical professional for treatment of a medical condition. Jackson further testified the collective did not generate any profits for either himself or the other active participants. Jackson offered no testimony with respect to how the collective was governed. not operated on a for profit basis. However, the trial court found that in light of the large number of members of the collective, Jackson could not establish the collective was operated for the purpose of collectively cultivating marijuana within the meaning of the MMPA as opposed to simply distributing marijuana. Thus, the trial court granted the People’s motion and prevented Jackson from offering any defense under the MMPA. Jackson was convicted and the trial court imposed three years of formal probation. We reverse Jackson’s conviction. In opposing the People’s motion, Jackson’s burden was not very great. Jackson was only required to produce evidence which would create a reasonable doubt as to whether the defense provided by the MMPA had been established. The defense the MMPA provides to patients who participate in collectively or cooperatively cultivating marijuana requires that a defendant show that members of the collective or cooperative: (1) are qualified patients who have been prescribed marijuana for medicinal purposes, (2) collectively associate to cultivate marijuana, and (3) are not engaged in a profit-making enterprise. As we interpret the MMPA, the collective or cooperative association required by the act need not include active participation by all members in the cultivation process but may be limited to financial support by way of marijuana purchases from the organization. Thus, contrary to the trial court’s ruling, the large membership of Jackson’s collective, very few of whom participated in the actual cultivation process, did not, as a matter of law, prevent Jackson from presenting an MMPA defense. profit enterprise or is a nonprofit enterprise operated for the benefit of its members. In resolving that question, an organization’s large membership and governance processes, if any, are relevant. As we explain, where, as here, a collective has a large membership, the overwhelming number of whom do not, in any fashion, participate in the operation or governance of the collective and there is evidence of a high volume of purchases by the members, a trier of fact could reasonably conclude that, notwithstanding Jackson’s testimony to the contrary, the organization is a profit-making enterprise which distributes marijuana to customers rather than to members of a nonprofit collective organization and is therefore outside the scope of the defense offered by the MMPA. Thus, on remand, the jury should be instructed that in determining whether Jackson is entitled to a defense, the jury must determine whether the collective he participates in is a profit-making enterprise and further that in resolving that question, it should consider, in addition to other evidence of profit or loss, the size of the collective’s membership, the volume of purchases from the collective and the members’ participation in the operation and governance of the collective. part, as follows: “A person is not guilty of the crimes charged in Counts 1-5 if his actions are exempted under the Medical Marijuana Program. The Medical Marijuana Program provides that qualified patients [and their designated primary caregivers] may associate within the State of California in order collectively or cooperatively to cultivate marijuana for medical purposes. “Collectively means involving united action or cooperative effort of all members of a group. “Cooperatively means working together or using joint effort toward a common end. “Cultivate means to foster the growth of a plant. (Â§ 11359). Those allegations were based on activity which occurred after the conduct which gave rise to the first trial. As we indicated at the outset, prior to trial on the second information, the People moved under Evidence Code section 402 for an order preventing Jackson from offering an MMPA defense. At the hearing the People presented testimony from one of the investigators who testified that he never observed any cultivation taking place at the Answerdam dispensary. The People also offered testimony from a member of the collective who testified that although he purchased marijuana at the dispensary, he never saw it being grown there and he never participated in its cultivation. Answerdam was not a profit-making business and that he and others were paid only for the expenses they incurred in cultivating marijuana and operating the dispensary. Jackson conceded that there were no meetings of the Answerdam membership and no attempts to contact them with respect to operation of the collective. In considering the People’s motion, the trial court found there was not enough information to determine whether Answerdam was operated as a for profit enterprise and therefore the trial court would not rely on that factor in ruling on the People’s motion. In nonetheless granting the motion and excluding evidence of the defense, the trial court stated: “So assuming there was cultivation going on and that at least some members were involved, that still leaves us with the evidence that was presented that there were well over 1,000 people involved in this so-called collective or cooperative, and a very, very small percentage of thoseâ”€a miniscule percentage was involved in the act of cultivation. “That certainly does not in any way establish that the association was for the purpose of cultivation. It only establishes that some of the people may have been cultivating. That’s very different. Obviously, as I pointed out, all marijuana is cultivated. If everyone who distributed marijuana was a cultivator, then there would be no need for the defense. “It’s clear that, as I said, the statute says that the association has to be for the purpose of cultivating marijuana. There is no evidence in the record that that was the purpose of this association. Indeed, the evidence points to quite the contrary, that the purpose of the association was for the distribution of marijuana that was cultivated by others whether or not members. In light of the trial court’s ruling on the People’s motion, at the second trial no evidence with respect to the MMPA defense was offered and no instruction on the issue was given. Jackson was, as we indicated, convicted on all three counts and given three years of formal probation. In Colvin the defendant was the operator of two marijuana dispensaries which together had 5,000 members. Based on his transportation of marijuana from one dispensary to the other, the defendant was charged with the sale or transportation of marijuana as well as with the possession of concentrated cannabis. found the defendant was a bona fide patient and that the dispensaries he operated were legitimate and complied with the MMPA. Nonetheless, the trial court found transportation from one dispensary to another had nothing to do with cultivation and thus the trial court concluded a section 11362.775 defense was not available. The trial court then found the defendant guilty of both marijuana offenses. The Court of Appeal reversed and found that the defense applied. The court in Colvin squarely rejected the Attorney General’s argument: “The evidence here was Holistic obtained its business licenses, was a nonprofit corporation, and was in the process of complying with then-applicable ordinances. The trial court thus found that Holistic was a ‘legitimate’ dispensary, which implies that the court believed Holistic was complying with the appropriate laws. The only authority the Attorney General offers, People ex rel. Trutanich v. Joseph (2012) 204 Cal.App.4th 1512, 1523, does not consider the express terms of the MMPA, but simply makes the conclusory statement that section 11362.775 “does not cover dispensing or selling marijuana.” That statement is of course inconsistent with the Attorney General’s own guidelines, which appear to contemplate that collectives and cooperatives will dispense marijuana and that there will be an exchange of cash consideration. (See Guidelines, supra, Â§ IV.B.5, p. 10.) It is also inconsistent with the Legislature’s recent addition of section 11362.768 to the MMPA. Section 11362.768 provides that “a medical marijuana cooperative, collective, dispensary, operator, establishment, or provider that is authorized by law to possess, cultivate, or distribute medical marijuana and that has a storefront or mobile retail outlet which ordinarily requires a local business license” may not be located within a 600-foot radius of a school. (Â§ 11362.768, subd. (e), italics added.) In enacting this limitation, the Legislature seemed to express its understanding that contrary to the court’s statement in People ex rel. Trutanich v. Joseph, the MMPA permits retail dispensaries. cooperative must actively participate in cultivation of marijuana to bring the organization within the terms of section 11362.76. Such a strict limitation on the means by which authorized collectives and cooperatives provide medical marijuana to their members is entirely inconsistent with the conduct permitted under the Attorney General’s Guidelines and expressly contemplated in the Legislature’s most recent amendments to the MMPA. Given the limited burden placed on Jackson at the Evidence Code section 402 hearing and the holding in Colvin, with which we agree, we must conclude the trial court erred in granting the People’s motion. In this regard we place particular emphasis on the trial court’s express unwillingness to determine whether Answerdam was operated for a profit. Assuming then, as did the trial court, that Answerdam was not operated for profit, and accepting Jackson’s testimony that all members were qualified medical marijuana patients, the fact Answerdam has a large membership did not prevent Jackson from offering a defense under section 11362.775. Jackson presented enough evidence to raise a reasonable doubt as to whether Answerdam was a collective or cooperative project within the meaning of section 11362.775. In light of Jackson’s acquittal in the first trial at which an MMPA defense instruction was given, there can be no serious dispute that the failure to permit him to offer such a defense at the second trial was prejudicial and that we must therefore reverse Jackson’s conviction. case, as well as others, and because the parameters of the MMPA defense have not been set forth in a definitive manner, we are obliged to consider the limits of the defense and provide the trial court and the parties principles which will govern jury instructions on remand. Center (2009) 174 Cal.App.4th 1224, 1237 [“[P]rovisions relating to the same subject matter or that are part of the same statutory scheme must be read together and harmonized to the extent possible.”]; see also Qualified Patients Assn. v. City of Anaheim (2010) 187 Cal.App.4th 734, 747 [collective and cooperatives under section 11362.775 must be nonprofit]; Hochanadel, supra, 176 Cal.App.4th at p. 1018 [same]; Guidelines, p. 9 [same].) Thus, when a defense under the MMPA is offered, the People are entitled to an instruction advising the jury that a collective or cooperative protected by the MMPA must be a nonprofit enterprise. enterprise, its establishment as such under Corporations Code 12201 (FN3) and any financial records of the enterprise will be relevant, including in particular any processes or procedures by which the enterprise makes itself accountable to its membership. An operator’s testimony as to the nonprofit nature of the enterprise is of course also relevant. entitled to an instruction that in considering whether a collective or cooperative is nonprofit, a jury may consider the testimony of the operators of the enterprise, its formal establishment as a nonprofit organization, the presence or absence of any financial records, the presence or absence of processes by which the enterprise is accountable to its members, the size of the enterprise’s membership and the volume of business it conducts. Of course the jury should also be instructed that a defendant is only required to raise a reasonable doubt as to whether the elements of the defense, including the nonprofit element, have been proven. (See People v. Jones, supra, 112 Cal.App.4th at p.
consistent with the views we have expressed.